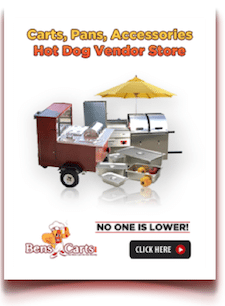 The biggest issue comes down to the variables with vendors and the hot dog vendor salary. Some vendors lack experience and knowledge. Others work more and still there is the issue with a business that is inherently mostly a CASH business. Reported incomes and REAL incomes are wholly different. I know vendors who are experienced but still don’t make what they should. They lack pro vendor knowledge. Some vendors work part time, others full time. Even vendors who only work 3 to 5 months out of the year. Yet take the rest of the year off. An older couple I know work a cart on Michigan Lake (not Lake Michigan). They work only a few months a year and the rest is spent doing whatever they like. Taking in a full annual income in those hot summer months from a cart affixed to a pontoon boat. They aren’t alone either, in North Carolina, Tennessee, Florida and other states, vendors are doing the same or very similar. 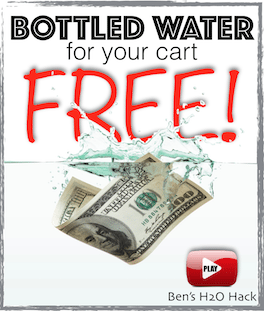 I work with hundreds and hundreds of the best vendors in the world. I could ask 300 vendors right now from our Vendors United group their average salaries but it wouldn’t be fair to you. Their incomes / salaries would be much higher than the averages. 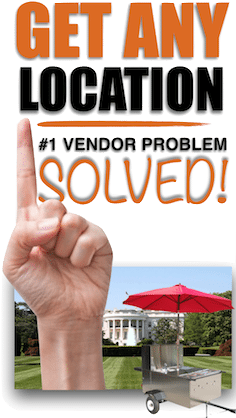 Fortunately I talk to thousands of vendors and can offer a real average based not only on the select ones I could pick from, but from vendors all over the world. 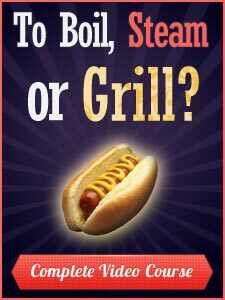 Vendors who call for advice or need some sort of help but aren’t in our circle of street food pros. Sunday night I was talking to a vendor who works Saturday, Sunday and Monday each week. He’s got a setup at a local activity park. By the end of Sunday’s lunch shift, he had made just over $7,300. He still had a Monday lunch shift to work. And this during the winter. 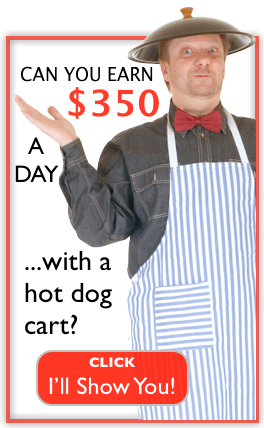 His hot dog vendor salary is exceptional and I didn't include his or the others into my numbers for good reason. Of course… I know vendors making two and three hundred thousand a year, they are fewer and further between. Although I work with 100’s of vendors who average $100,000.00 a year and better, I wanted to be completely unbiased and fair. Note: I am not including in averages any Vendor that start without doing their due diligence and struggle without the knowledge of the pros, because these vendors don’t make it for even one year. It would be unfair to skew the numbers lower by adding their “annualized” salaries based on a couple bad months… (their only months) Just as it would be unfair if used only the best reported months from some vendors so that I could annualize their numbers and skew the averages higher. And we must still account for those vendors, those who are retired or semi retired from other lines of work who truly work just part time. 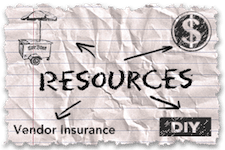 Although many full-time vendors work less than 200 days a year which means 165 days off… there are these other vendors, the truly part time vendors who work about 100 days a year. They are supplementing their incomes. They aren’t looking for full-time work, they work 4 to 9 days a month and that’s it. I didn’t include these figures although some make salaries that would rival full-time vendor’s. 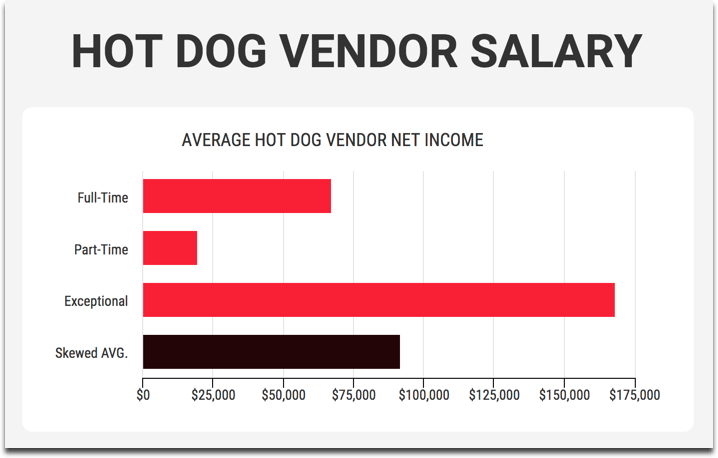 Hot dog vendor salary for a part-time vendor. 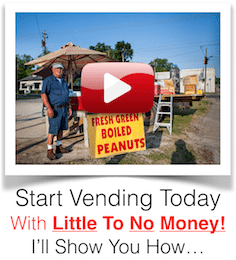 Part-time vendors are averaging $19,700 annually based on over 150 part time vendors. 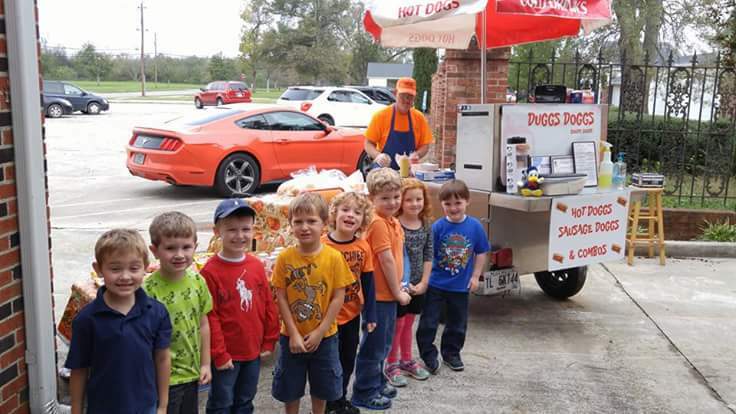 Michael Wood of Duggs Doggs in Georgia has been vending on a Big Dog hot dog cart for over eight years. Up until recently he worked 3 to 4 days a month to supplement his income. He now works about 8 days a month after fully retiring from the military and then another job. Taking all the available data… the exceptional, the full-time and the part-time vendors we can get a less accurate but interesting average. As previously stated above, it's not that fair seeing as how I'm using numbers previously omitted from Vendors United members and part timers who have exceptional averages. Either way, it's still a weighted average that is accurate (however unfair). But what if, what if you're not average. Great! – if you mean that you're better than average, but what if you're just not quite hitting the averages? If you're happy, if you have plenty of time for you, your family, your friends… well then… what's to worry about? NOTHING. But if you're not satisfied and want more… the solution is here. 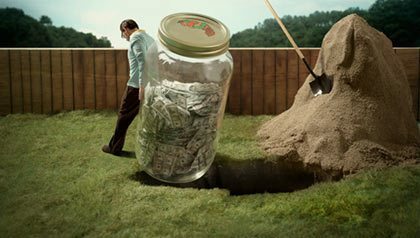 Here, right here at LearnHotDogs.com is tons. 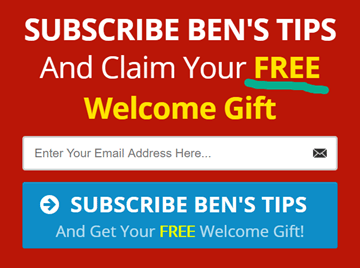 Tons of free information, all for the taking. Search any subject and you'll soon find we've covered about everything. Great vendors have started right here. BUT! 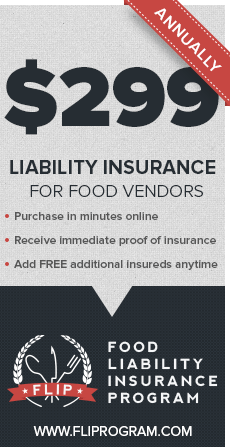 If that's not fast enough… Then check out Vendors United. I've made a video about it here. 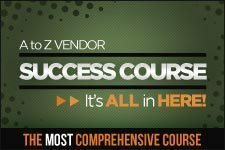 It's our private group of vendors, all united to help each other reach our goals and beyond. It's the Street Food Pro team. There's no contract or commitments. Just try it and see for yourself.